One of the joys of finally being more settled here in Czech is that we’ve been able to really have focused time with our kids. It’s not that we didn’t focus on them, but when you’re traveling the U.S. in a van for nine months during support raising some things fall to the wayside. Bethany would often say, “When we get to Czech we’re gonna _____________ .” For example, we’ve wanted to reinstate “room time” for our kids where they can just spend time playing while Bethany and I work around the house. Our traveling just didn’t allow for that kind of time for them and now that we’re here we’ve gone back to that which has been really great. Another thing we had talked about was small chores that the kids could help with, like emptying the dishwasher, setting the table, or helping do the laundry. 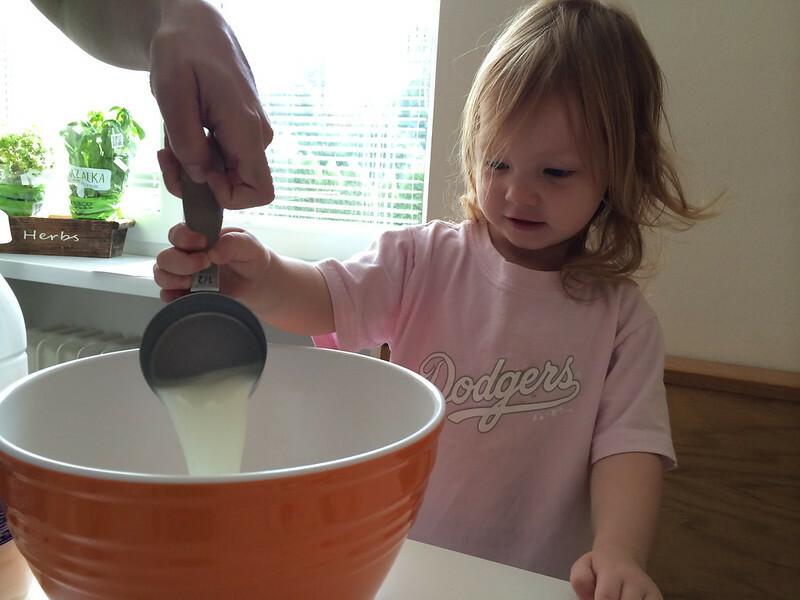 The goal is just to give them some different, practical activities they can do with us. It’s been fun to see some of those things come to fruition. Avery (she’s 2) completely impressed me this morning. I think it’s a combination of us working with them more and just Avery’s sweet heart, but while Bethany was making breakfast Avery came into the kitchen and I said, “I help mommy?” Bethany was making Swedish pancakes from scratch and there’s a lot of stirring so Avery helped mix ingredients and then stir everything together (photo above). Once she was finished, Avery grabbed some clean plates from the dishwasher and said, “These are for me and Titus…” and went into the dining room and put their plates on the table. 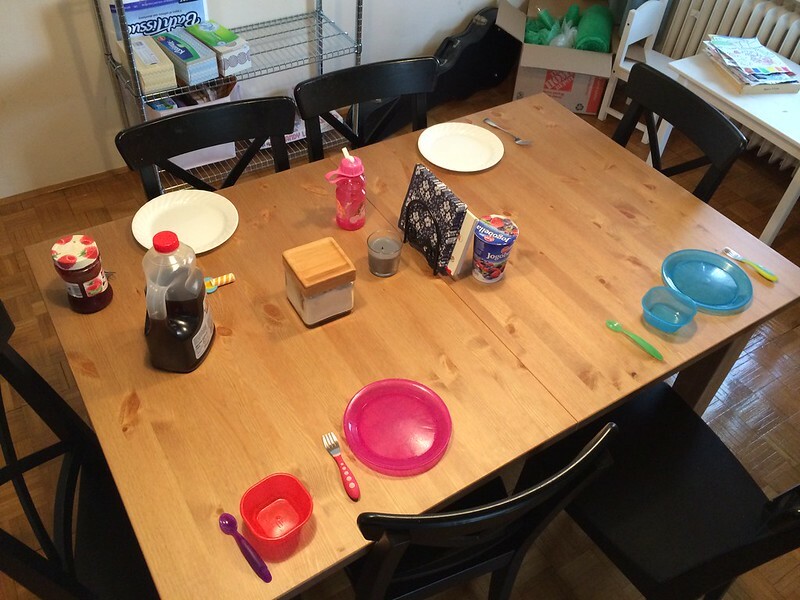 Then Bethany asked her to continue setting the table so Avery grabbed all the plates, silverware, syrup, jelly and set the entire table herself (photo below). Minus the sugar in the glass container, Avery carried out everything and set the table all by herself and she said to me, “Daddy…Titus is sitting by me.” That was right after she explained to me that she was taking bowls to the table for her and Titus to have yogurt (which she also took out to the table). After breakfast we went outside and Bethany said, “I’m going to work on potty training with Avery.” This is just another one of those things that got set on the back burner as we were support raising and preparing to move. We just never felt we could on it and we were driving so much that we decided to wait. 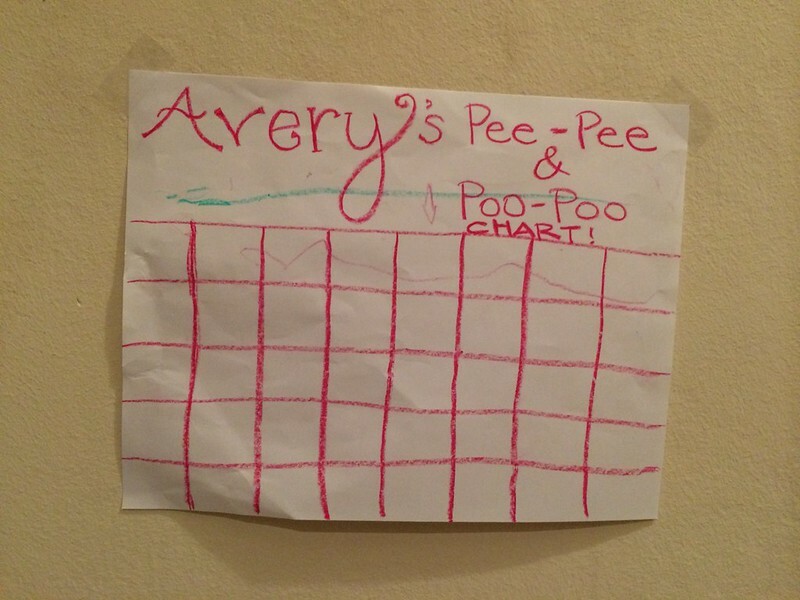 But today we began the slow and steady process of teaching Avery how to “go potty on the potty.” With Titus we made a little chart and reward system so Bethany did the same with Avery today. Even though she had a lot of accidents, we were much more prepared and Bethany really worked hard with her. Lord willing, Avery will adjust soon and we’ll have another potty trained child in the house…and a lot less diapers! Tomorrow is Sunday and that means we’ll be at church. As I’ve written already, Sunday is yet another opportunity to work with our kids and teach and train them. Pray for us as we continue to get settled and spend more focused time with our kids.